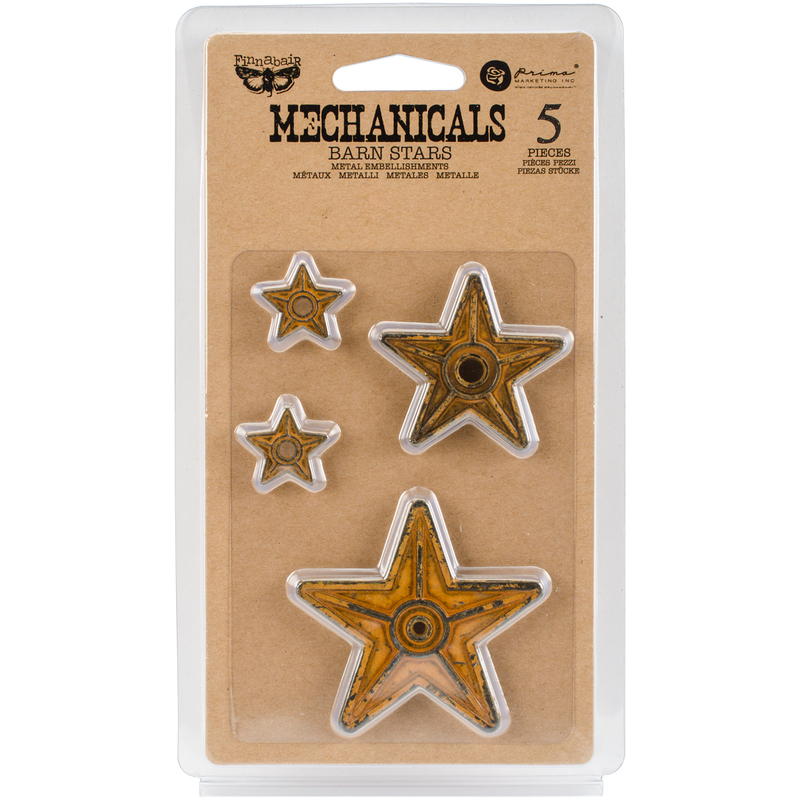 Prima Marketing-Finnabair Mechanicals Metal Embellishments: Barn Stars. Take your projects to the next level with metal embellishments! Each trinket boasts character, fine details and style, that have been amplified by the new finishes. This 7-3/4x4- 1/2 inch package contains five metal embellishments in four designs (one or two of each design). Imported.